Augsburg College’s equity agenda uses structural changes to create more rigorous classrooms, recruit new student populations, and fulfill the college’s social justice mission. Becoming “student ready” was a natural progression for Augsburg College, Minneapolis, given its commitment to diversity and inclusion, its urban location in one of the most diverse ZIP codes in Minnesota, and its Lutheran roots in service and vocation. The college recognized that the demographics in the region were shifting and viewed it as an opportunity for the institution to change. This change was organic in meeting the growing variety of student needs that have evolved over the past three decades. But it was also built on a Lutheran tradition of service and “radical hospitality” in welcoming and supporting one’s neighbor, and the mission of community engagement. Augsburg’s view of diversity, inclusion, and equity is key to being student ready. Diversity is the state of difference, dissimilitude, and unlikeness. Augsburg takes a broad view of diversity by looking at the full range of individual differences students bring, including learning styles, personality, and life experiences. This is based on the Association of American Colleges and Universities (AACU) definition of diversity, and also includes group and social differences, such as gender; class; race; ethnicity; country of origin; sexual orientation; and political, religious, and other affiliations. Inclusion is generally defined as the act of including and/or tolerating people and ideas that differ from the institution’s traditional or historic roots. The concept has become prominent in college mission statements in the past 20 years. Given the growing number of students from under-served communities, many educational institutions emphasize tolerance. Augsburg’s style of inclusivity, again based on the AACU definition, moves beyond tolerance to embracing, celebrating, and utilizing differences to improve the rigor of classroom education, recruit new student populations, and fulfill its social justice mission. Such efforts require active, intentional, and continual engagement with diversity in the curriculum, the classroom, and within the community. Inclusion recognizes the profound, positive, and constructive ways a diverse campus fulfills its mission and advances educational achievement. Inclusion, however, presumes that the student bears all responsibility to culturally or socially adapt to the institution. But, what if the student’s academic failure is actually the result of the institution’s failure to accommodate cultural differences or group alienation? Or, what if the responsibility for the student’s difficulties rests with the educational, economic, or political systems that raised the student, rather than individual failures of motivation, discipline, or ability? These questions, and their complex answers, have given rise to interest in an equity agenda for higher education. In educational settings, the ideology of equity stems from an informed understanding of disparities and inequities faced by marginalized student populations, and works to provide students with the resources and services they need to be successful. Equity, however, is not the same as equality. This difference is shown in the illustration from the Interaction Institute for Social Change. A simple allocation of one box per spectator would not allow each individual to view the ball game. Instead, by providing boxes based on individual needs, each spectator has an opportunity to view the ball game. Augsburg has taken the long view in its early and subsequent moves toward the type of inclusion that results in student success. Historically, preparing students for their collegiate experience largely fell to the students themselves, their families, and high school guidance counselors. Targeted access programs such as TRIO and Upward Bound emerged as a resource to introduce first-generation students to the traditions and practices of higher education. Collegiate new-student programming offices helped students learn to navigate the college experience. The focus was on how high schools and higher education institutions could help students prepare for college and gain the skills and tools deemed necessary to be successful and complete their program of studies. Over the past few decades, Augsburg has been moving away from the usual “college ready” mindset toward becoming “student ready.” Rather than focusing solely on helping students prepare for college, the institution looks at opportunities that it has to become ready for its students. At Augsburg, two of the most successful examples are the CLASS office (Center for Learning and Accessible Student Services) and StepUP program. Both have made significant and lasting inroads in meeting students’ needs as they arrive on campus. CLASS supports students. In the 1980s, Augsburg realized that it could serve a group of students traditionally excluded from success in higher education: students with learning challenges and disabilities. Augsburg responded by identifying an administrator passionate about the work to transform the campus environment and provide support services. As the need for services and support grew, so did the financial support. Private donors and foundations generously supported new space, staff, and other resources to create the CLASS office. Today, the CLASS program promotes access and inclusion for more than 300 students with disabilities by partnering with the campus community to provide accommodations, resources, and education. The program, in turn, has provided funding, recruiting, and programming advantages that have benefited the entire college. StepUP underpins addiction recovery. A different opportunity arose in the 1990s when a number of students in recovery from chemical dependency enrolled at Augsburg. CLASS office personnel responded to these students’ request for specialized support services beyond those that the program could offer. They understood that students in recovery could be academically successful, if they were provided with that specialized support. Augsburg staff partnered with the renowned Hazelden Addiction Treatment Center, now known as the Hazelden Betty Ford Foundation, to work together in serving students in recovery. From that important partnership with Hazelden, the StepUP Program was born. It strives to help students champion lives of recovery, achieve academic success, and thrive in a community of accountability and support. Again, private and foundation support followed quickly after the creation of the program, allowing it to grow in size and services. Today, the StepUP Program at Augsburg is the largest residential collegiate recovery community in the nation. These student-centered services are just two examples of how Augsburg meets students where they are, and supports their academic journey with a purpose and vocation unique to each student. Over the years, Augsburg has worked collaboratively with students to find solutions to their concerns. Student government passed resolutions supporting gender neutral restrooms and encouraged the institution to take action. Student members of Pan-Afrikan Student Union and Students for Racial Justice co-facilitated an overnight retreat around issues of racial justice and equity, authoring critical messages and action steps for Augsburg. We believe such student activism is a positive step because it allows students to participate in civic engagement and promote public discourse in a manner that supports democracy. These efforts to support students have grown in scope and size of such work. Augsburg’s President Paul C. Pribbenow clarified the practical implications in his presentation at an all-campus meeting in May 2016. “We are called to be ready for students with the diverse gifts and experiences they bring to our campus, gifts and experiences that demand changes in how we engage them, teach them, and learn from them,” he said. 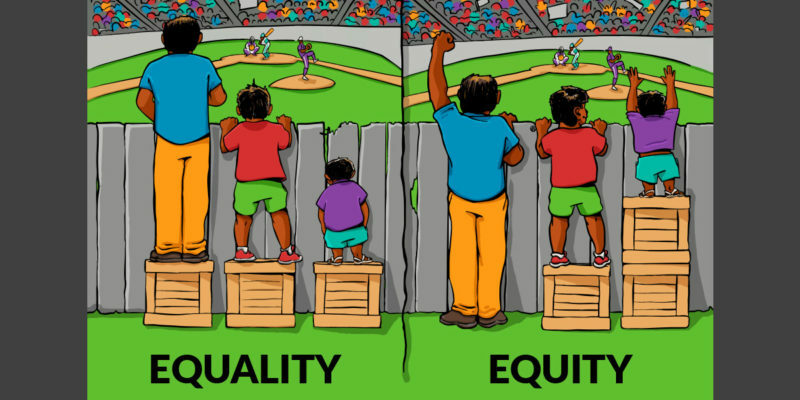 So, while equality provides equal service to students, we recognize that equity requires differentiation of services at varying levels of need. At Augsburg, differing student needs may mean differing services for one student than for another, in order that all may have equal access to a meaningful educational experience. This shift toward equity has resonated with many in the state of Minnesota. Governor Mark Dayton proclaimed Aug. 29, 2016, “Augsburg College Equity Day” for the institution’s leadership in bringing Minnesota’s higher education community together, and its commitment to “limiting debt pathways to graduation, setting aside one percent of housing for homeless students, increasing financial aid literacy, making (standardized) admission testing optional, creating inclusive classrooms, and increasing access to course materials.” This recognition affirms the important work of becoming truly student ready. Currently, Augsburg is the most diverse private college in Minnesota, and it is the second most diverse four-year institution in the state, according to IPEDs data on the number of undergraduate students of color by institution. Students of color in the full-time undergraduate body rose from 11 percent in 2006 to 47 percent in 2016. This change in Augsburg’s student body is due in part to the shifting demographics in public high school graduates, but primarily reflects its focused efforts toward equity in admissions and student services, as well as employee training and strategic financial investments. For example, the admissions team partners with College Possible, AVID, and high schools that primarily serve students of color; nonprofit community-based organizations such as the Northside Achievement Zone; and national organizations such as Act Six. Once students visit Augsburg, they find that campus tours are offered not only in English, but also in Spanish, Somali, and Hmong. Additionally, there are specific processes, policies, and financial aid support, along with partnerships with state offices and consulates, to support all students regardless of their immigration status. Augsburg has developed scholarship programs for high-academic students from underserved populations and is moving to test optional entrance requirements, recognizing that standardized testing is not a reliable predictor of college success for all students. In addition to recruiting students from underserved populations, Augsburg also focuses its efforts on retention and graduation. The May 2016 graduating class, for example, comprised 42 percent students of color. Augsburg’s Multicultural Student Services, which provides advising, mentoring, and support, plays a large role in student retention and graduation. Providing multicultural student services has been a long-standing commitment and substantial investment for the institution. For example, there are director-level positions in Pan Afrikan, American Indian, Pan Asian, and Latinx student services. Although Augsburg is a Lutheran college, the campus ministries team includes a staff person whose primary focus is serving Muslim students. This interfaith work has been recognized by former President Obama’s White House Interfaith Engagement and Community Service Campus Challenge three times in the past six years and demonstrates Augsburg’s commitment to creating an inclusive interfaith environment. Campus chapel services are held daily during the school year and promote interfaith dialogue. “Mindful Mondays,” for example, allow people of all faiths and beliefs to share and build mutual understanding of how differences can be embraced. This also represents a newer movement where mindfulness and compassion practices can be used to minimize bias. The transition from focusing on diversity, then inclusion, and now, equity, has taken place over a period of more than 15 years. Faculty and staff have been overwhelmingly supportive, but over time some have raised concerns such as the risk of reduced academic quality, the costs of providing student support, the roles that various faculty and staff should play in providing support, the balance between need-based and merit-based financial aid, and the practical aspects in reorganizing college structures to better serve students. Because Augsburg has always been clear about its social justice mission, the basic values have not been a source of conflict. The board of regents, which became strongly engaged in the move from inclusion to equity over the past three to five years, raised concerns similar to that of the faculty and staff. The board brought outside perspective to finding solutions, while also helping college officials understand the financial strategy of an equity agenda as a growth model necessary for recruiting success within current market forces. It also helped Augsburg understand its mission within a broader economic and social context, which pushed the institution to embrace a broader equity agenda for higher education as a whole, not just at Augsburg. In the area of faculty and staff development, specific training targeted to minimizing unconscious bias in the hiring process is required for search committee members. 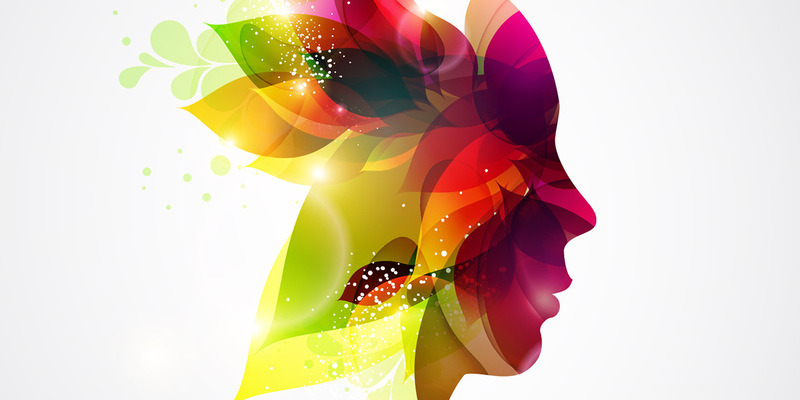 This training helps employees understand and work to reduce “unconscious bias,” which are social stereotypes about certain groups of people that individuals form outside their own conscious awareness. Through this intentional effort, Augsburg promotes awareness, and provides a call to action to not only seek diversity in its applicant pools, but also to minimize unconscious bias in search and selection practices. Another employee development tool available to faculty and staff is the Intercultural Development Inventory. This tool assesses intercultural competence—which IDI defines as “the capability to shift cultural perspectives and appropriately adapt behavior to cultural differences and commonalities.” Since 2015, 40 percent of faculty and staff have participated on a voluntary basis. That same year, Augsburg’s chief diversity officer created a Diversity and Inclusion Certificate Program, which offers faculty and staff the opportunity to further develop the skills necessary for diversity, inclusion, and equity work. The 18-hour training program addresses topics such as intercultural competency, intercultural conflict styles, inclusive spaces, disability and accessibility, reducing bias, LGBTQIA allyship (lesbian, gay, bisexual, transgender, queer, intersex, asexual), and minimizing micro-inequities. Additionally, diversity and inclusion expectations are embedded into the annual staff performance review process. Staff are asked to respond to the following statement: “To support Augsburg’s mission as an engaged community that is committed to intentional diversity in its life and work, I will … .” Asking staff to identify how they will support Augsburg’s commitment to diversity creates a culture of accountability. Staff support their commitment to diversity and inclusion in a variety of ways, including developing strategies to address barriers to higher education, developing resources for faculty and staff to understand and increase inclusion, and participating in training designed to help increase intercultural competency. Of course, the investments in building equity and being “student ready” require substantial commitment of time, energy, and financial resources. As part of its mission, Augsburg has found that this strategic investment, when done well, reaps many benefits. The return on investment is positive and growing. ROI is seen externally in a growing reputation, and internally through growing enrollments. Additionally, recognition from this work promotes a sense of accomplishment and campus pride. Augsburg has invested in this work through reallocation and prioritization of resources, being mindful of the things that matter most to our students. In 2015, with a growing number of students who identified as transgender and the need to increase access on campus, students requested additional gender-neutral restrooms. Through redirecting $10K in capital resources, six gender-specific restrooms on campus were converted to gender-neutral restrooms. Student government determined which areas of campus lacked gender-neutral restrooms, and with the facilities staff, identified which restrooms were best suited for conversion. By keeping the focus on students, recognizing that small changes can make big differences, and inviting students into the solution, Augsburg was able to become more inclusive in a practical and cost-effective way. Because significant budget dollars fund student support services, another way to think about the investment, is to consider a simple ROI question: What is the cost of funding a multicultural student service director position, and how many students are required to support the position? Then consider the impact of those services on this growing population. Even without assigning dollar figures, intuitively, the investment results in a high-impact level of service to the campus. When considering annual operating budget support, costs for the director, fringe benefits, and office support equal $100K. This total is supported by the net tuition revenue of six students in a break-even model. Given the expected growth in students of color, this investment quickly becomes a low-cost, high-impact investment for Augsburg. Of course, some services are more costly to deploy. Certain students may require more specialized support services than what their net tuition provides to the institution. While at times, this work does not result in a financial net positive for the institution, it does support Augsburg’s overarching vision of diversity, and promotes the drive toward equity and student readiness. While some higher-level services may add costs in the short term, Augsburg views growth in diverse populations as an engine for long-term financial sustainability. After benefiting from effective investments in services, satisfied students, families, and alumni share their stories. This builds institutional reputation and enhances enrollment and donor engagement. This work can also stabilize and even grow enrollment in an environment that is highly competitive and under-resourced. Ultimately, the enrollment engine builds momentum in serving an increasing number of students in an ever-changing world. At Augsburg, investments have resulted in recognition of the institution through awards for diversity and inclusion such as a top military friendly school, transgender-friendly college, disability-friendly institution, and a top LGBT-friendly college. Through this reputational growth, enrollments have grown. The StepUP Program now serves 100 students, which makes delivery of the services more cost effective. Although still expensive, the success of this program garners strong donor involvement. The recent StepUP Gala raised $500,000 for programmatic support along with a $1 million gift for endowing the executive director of the program. The enrollment engine also fuels fundraising for growth. Another notable funding source has come from local grants for the East African Student to Teacher (EAST) Scholarships. The purpose of this program is to increase the racial diversity of the teacher workforce in Minnesota, and specifically targets future teachers who are of East African origin. The program aims to recruit highly qualified students who wish to obtain a K–12 teaching license. With Augsburg’s equity and interfaith work, foundations are increasingly supporting these and other new initiatives with annual and multiyear grants. Recently, the institution received a substantial, five-year grant from Lilly Endowment Inc., for its interfaith work. This investment allows Augsburg to further expand and strengthen an inclusive community. The public continues to recognize the growing importance of this work, and has stepped up to provide its support with increasing momentum and financial resources. The work of becoming student ready, as an equity-driven institution, must be authentic. Such work will grow organically only when it is an integral part of the institution’s cultural fabric. Pursuing this work has given Augsburg a powerful sense of identity—both on campus and in the community. For a small private institution that is heavily reliant on tuition revenue, stability within student enrollments can foster long-term financial sustainability. Augsburg has found that intentional and careful investments to promote equity, in an increasingly diverse world, is improving and expanding its financial stability. The Augsburg community has rallied behind the institution being student ready and building equity with the result that its enrollments have increased and reputation has grown. This growth ultimately promotes the institution’s mission, and advances its commitment to intentional diversity in its life and work. Of course, every institution must chart its own course toward becoming an authentically diverse community. But, Augsburg’s model may offer some persuasive insight into how pursuing an equity agenda may improve higher education’s academic, cultural, and financial future. BETH REISSENWEBER is vice president of finance and administration and chief financial officer, and LISA STOCK is director and chief human resources officer, Augsburg College, Minneapolis. Providing multicultural student services has been a long-standing commitment and substantial investment for Augsburg College. Asking staff to identify how they will support Augsburg’s commitment to diversity creates a culture of accountability.